Google’s Pixel launcher, exclusive to it’s Pixel devices, is pretty awesome but not officially available to anyone else. Now, we’ve found ways to get this home screen app on other phones, although certain features simply wouldn’t work unless you were rooted. Thankfully that’s finally changed! Previously, when you installed the Pixel Launcher without root, you’d be missing the integrated Google Now page. 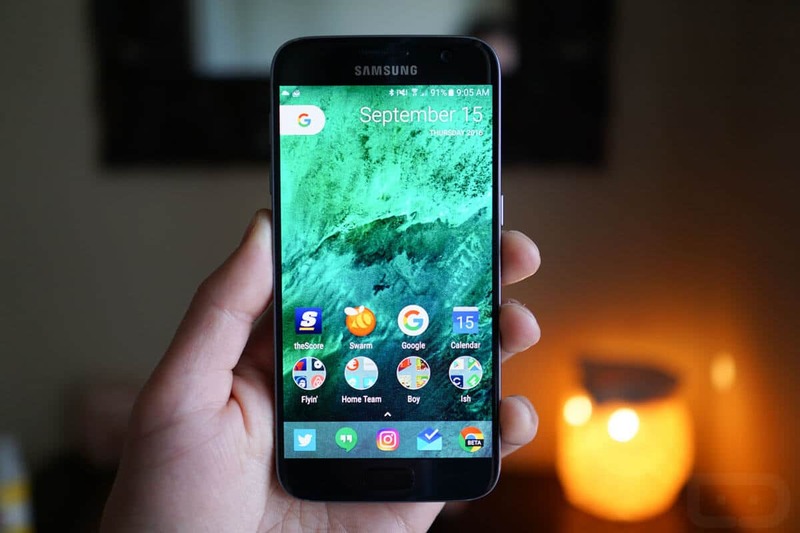 But now, developer Till Kottmann has finally found a way around this issue, and it involved painstakingly recreating the Pixel Launcher from the ground up using stock Android’s open source launcher code base. STEP 1: First up, make sure you have “Unknown Sources” enabled. STEP 3: Open the APK from your notification tray or using any file browser, then press “Install” when prompted. STEP 4: Once you’ve installed the app, press your home button. From there, you’ll be prompted to choose a new home screen app, so select “Lawnchair” from the list, then choose “Always” if prompted. Before you start playing around with your awesome new launcher, there are a few settings you should be aware of. To access these, long-press any empty space on your new home screen, then tap the “Settings” button. From here, you’ll see three categories: UI, Pixel Style, and Behavior. In the UI menu, you can set your own icon pack if you have one installed, and you can adjust other appearance options like the opacity of your app drawer, as well as grid sizing and icon scale. In Pixel Style, you can disable the new “pill” style Google search widget in favor of the full search bar, among other things. Finally, the Behavior section has a few options for gestures and general app functionality. If you’re like me and you like to keep your app drawer tidy and free of redundant icons, you’ll be happy to know that you can hide apps in Lawnchair. To try it out, drag an icon from your app drawer, then drop it on the “Edit” button at the top of the screen. From there, simply disable the “Visibility” switch to hide this icon from your app drawer, though note that if another copy of this icon is already on your home screen, you’ll still see it there. From this same menu, you can even rename the app, so there’s plenty of customization tweaks that the Pixel Launcher just doesn’t have. Aside from all of the above customization options, Lawnchair looks and behaves exactly like the official Pixel Launcher from Google. 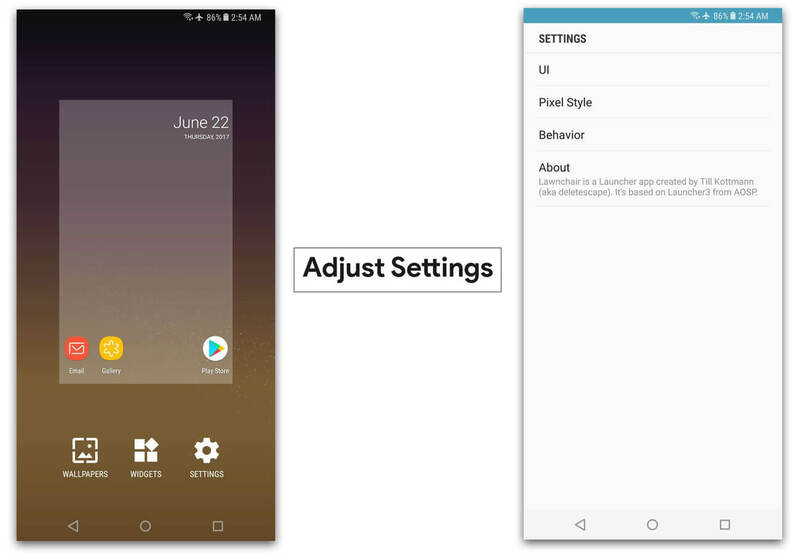 Most importantly, that means you can swipe over from your leftmost homescreen to access your Google feed as if it were another home screen page. But you also get the Pixel’s new app drawer, which expands when you swipe upward from the dock at the bottom of the screen. Overall, it’s a herculean effort from a fantastic developer, because if you ignore the extra features, it’s impossible to tell that this isn’t the official Pixel Launcher from Google. As Google doesn’t want others to use it’s “Pixel device only” launcher, you’ll not find this launcher on Google PlayStore. Also, there won’t be any automatic updates as of now. So you need to keep a check on the Github page or this post. Till then, enjoy the Pixel experience and don’t forget to share this beautiful launcher with your friends. Download LG Flash Tool (LGUP) to Flash KDZ and TOT firmware.